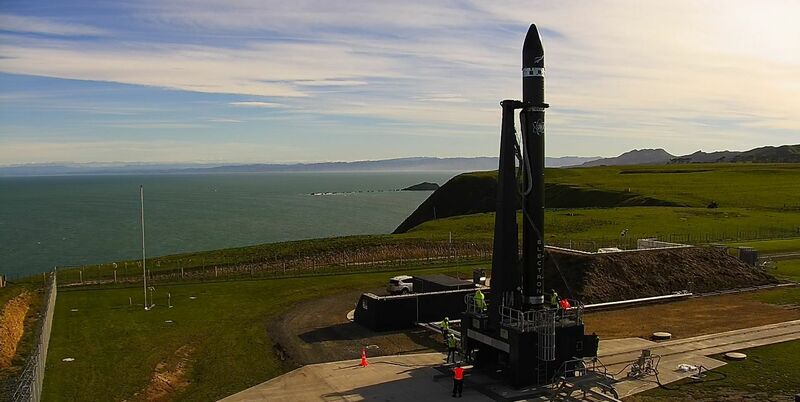 Rocket Lab is preparing for its first operational flight of their Electron rocket from its launch site on the Mahia Peninsula in New Zealand. The mission will capitalize on the highly successful test flight of Electron in January, which saw the unexpected and previously unannounced launch of the Humanity Star payload as well as the planned debut of Electron’s Curie kick-stage (third stage). 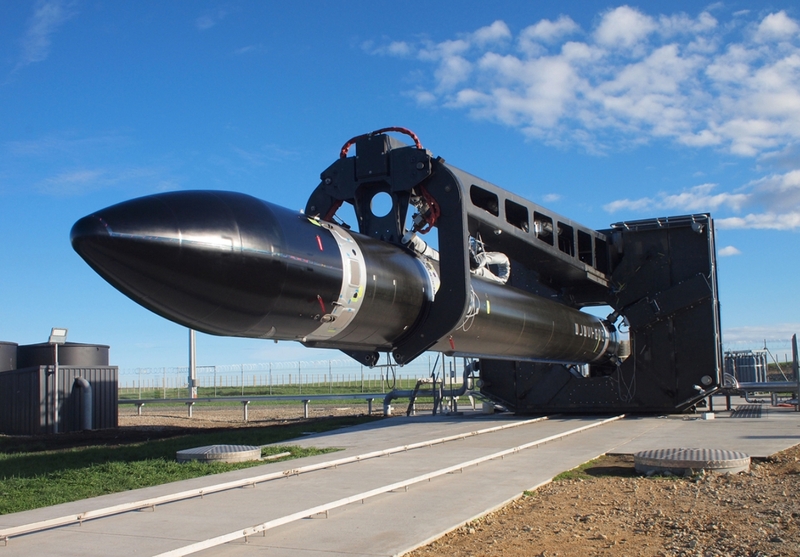 Rocket Lab’s successful flight of the “Still Testing” Electron rocket from New Zealand in January has paved the way for the company to begin operational flights of their revolutionary smallsat launcher. “Still Testing” was the second Electron to fly following the inaugural launch of the vehicle on 25 May 2017. That maiden launch ended in a range safety-issued destruct command to the rocket after a ground systems issue prevented communication with the rocket, named “It’s a Test”. According to Rocket Lab’s post-fight analysis of It’s a Test’s flight, the rocket actually performed perfectly and the issue that led to the flight’s termination lay in a ground fault with a contractor’s systems. In an interview with NASASpaceflight’s Chris Gebhardt, Peter Beck, Rocket Lab CEO, talked about the It’s a Test flight, saying, “So on the first flight, we almost made it to orbit, so we got sort of 90% of all the data that we needed. Because the cause of the first flight’s termination was not in anyway due to a malfunction on the rocket, the actual changes and differences between the first and second flights of Electron were quite insignificant. And the same will generally hold true between flights two and three, the final test flight and the first operational flight, with Mr. Beck noting that some modifications will be made but that Rocket Lab is “pretty much … locked in full production” of Electron at this point. To this end, the second test flight, Still Testing, provided the team with additional data for review and validation while also launching Electron’s first payloads into Earth orbit. But before those payloads made it to their destinations, Rocket Lab’s launch team had to overcome a series of technical, weather, and range related safety issues that ultimately delayed Still Testing’s launch six times between December 2017 and January 2018. During one of those attempts on 12 December (UTC), the count made it all the way to T-2secs with engine ignition before an on-pad abort occurred. The abort was traced to “rising liquid oxygen temperatures – the result of a LOX chilldown bleed schedule not compatible with the warm conditions of the day,” noted a Rocket Lab update via the company’s Twitter account. After a subsequent weather scrub and a ground electrical issue, Mr. Beck noted that the team decided it was best to stand down until after the start of the new year rather than continue to push forward around a holiday. When “Still Testing” launched on 21 January 2018 (UTC), the mission was a resounding success – with good weather, a perfectly functioning rocket that placed its payloads into Earth orbit, and the debut of Electron’s optional Curie kick-stage (third stage). 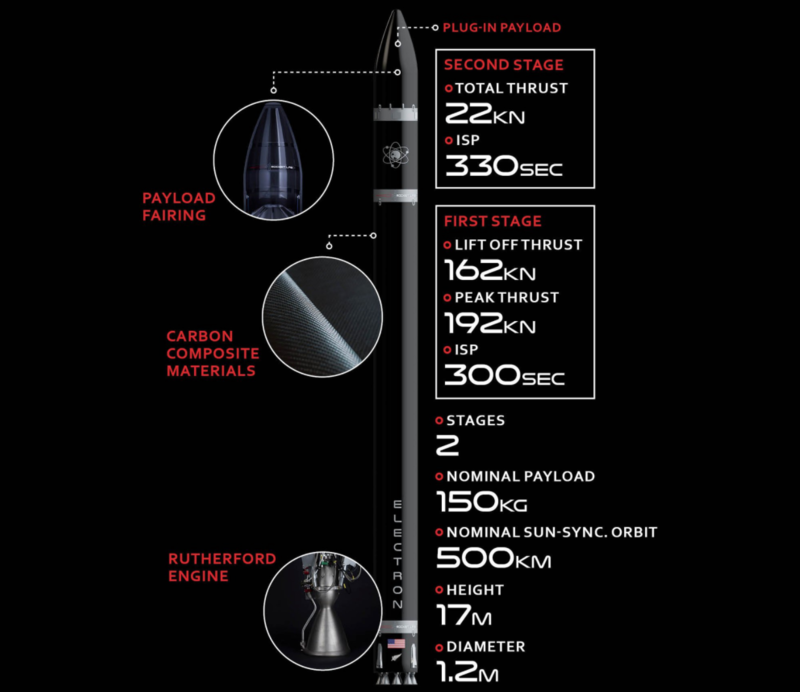 The need for the kick-stage stemmed from a decision made by Rocket Lab for the second stage engine to only perform a single burn instead of being restartable. This design was specifically chosen so that Rocket Lab would not put large second stages into orbit and would fly responsibly by deorbiting Electron’s second stage quickly so as not to contribute significantly to the space debris environment. Moreover, the Curie kick-stage was a direct result of Rocket Lab talking to and listening to their customer base – who wanted to make sure that on ride share missions of Electron that all payloads were separate safely and not re-contact other small satellites launched/deployed on that same mission. To this end, the Curie kick-stage’s engine is restartable, allowing for satellite deployment, burn and reorientation of Curie, deployment of another satellite, burn and reorientation of the stage… and so on until all satellites are deployed – after which Curie burns its engine again and deorbits itself. The Curie kick-stage also ensures optimal placement of customer’s satellites in orbit, including circularizing the orbit after the second stage drops off the kick-stage and satellites in an elliptical transfer orbit and raising the craft’s orbital height to drop satellites off at different orbital altitudes. While the Curie kick-stage is a new design, it shares a lot of commonality with the entire Electron vehicle. “The regulators and valves and separation systems are common right throughout the launch vehicle. No matter if it’s a stage separation or a fairing separation, they’re all the same device. So there’s a lot of commonality and standard hardware, but it was an entirely new stage,” noted Mr. Beck. During the Still Testing flight and the Curie kick-stage’s debut, Electron delivered three previously known small satellites (Dove Pioneer and two Lemur-2 small sats) to orbit as well as one previously unknown payload – Humanity Star. Speaking on Humanity Star, Mr. Beck said, “One of the things that sparked my interest in space when I was young is my father took me outside and we [looked] up at the stars, and I saw a shooting star. And he explained to me that was in fact a satellite put up by man. “And I started asking all these questions, ‘Well, what are all these other stars here? Do they have planets, and do they have people?’ And that really is what inspired my interest and my excitement for space. “The whole purpose of the Humanity Star project was do something that could reach out not just to a select few on the planet, but to anybody on the planet, irrespective of race, or religion, or financial status. It needed to be totally universal to try to inspire the kinds of things that inspired me as a young child. “What the whole purpose of the project was, was really to get everybody out looking up at the Humanity Star, but in actual fact looking past the Humanity Star and just absolutely realizing that we are just one species on a little rock floating through the universe. 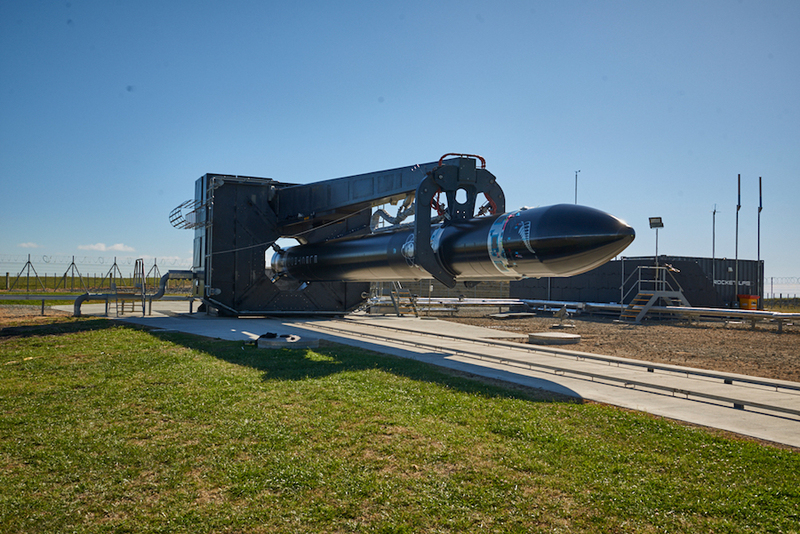 With its tests flights behind them, Rocket Lab is now preparing for the first operational flight of the Electron, which is expected to fly in the near future. The payload for this first operational flight, while not confirmed, is expected to be the Outerspace 1 and ISILaunch cubesats. No launch date target is currently available for this mission as manifesting of the entire 2018 flight scheduled continues, with Rocket Lab authorized through flight #8 and six Electrons and up to 100 Rutherford engines (total this year) in production/pre-production at the company’s Huntington Beach, CA, facility. “We’ve officially accelerated into full commercial operations, so we’re trying to manifest flight three in a really short time frame. And then flight four is a NASA flight, a NASA VCLS flight. And then going on out into the rest of the year, we have a range of flights from various customers, from Spaceflight Services, Planet Labs, and a whole bunch of other customers. “We’ll make an announcement in due course, but we’re just working through the manifesting process right now and locking everything in for the year so that we can deliver on clearing out some of the backlog for our customers,” said Mr. Beck.